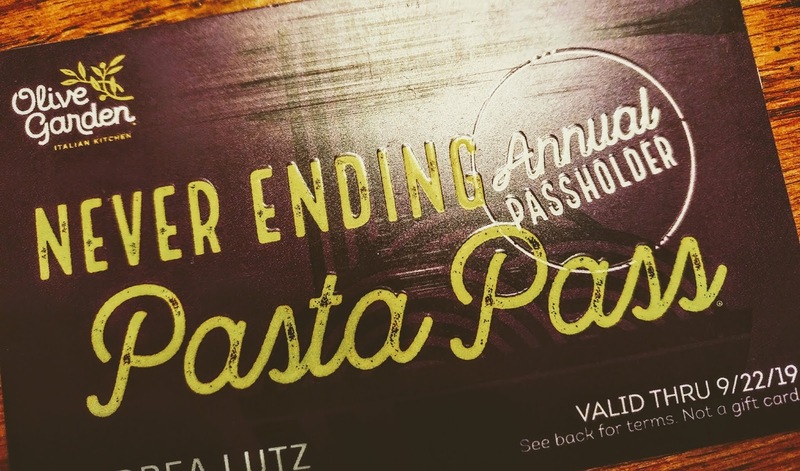 Welcome to the delicious and hilarious Olive Garden Pasta Pass series! I started this series because I love Olive Garden and I want to share that love with you. 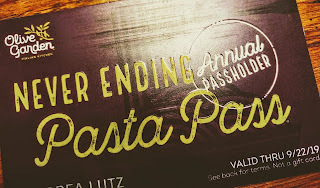 Every week I will be posting my adventures with Olive Garden and what it’s like to be a Pasta Pass holder. I hope that you will laugh and your mouth will water as you read. Don’t forget to subscribe to my website so you don’t miss a single bite of this Never Ending fun! Waiting, and waiting, it’s finally here! It's sad that I have to be motivated by money but LOVE and EXCITEMENT don't pay the bills. Anything as little as $1 is appreciated! If you aren't able to do this I still appreciate your support by sharing my website, subscribing at the bottom of the page, or sending me an email. Of course, if you can do all of the above, that's even better. Thanks so much! How often would you like posts sent to you?